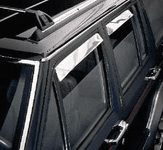 Auto Ventshade products have been protecting and styling vehicles since 1935. We carry an extensive line of easy-to-install, innovative automotive accessories for cars, trucks and SUV's designed for style and function including popular items like wind deflectors, hood deflectors, head and tail light covers. Complete and enhance the look of your luxury vehicle with subtle style and understated elegance. 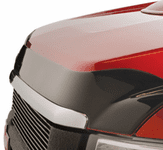 The Bugflector II improves the look and protects the beauty of your truck. 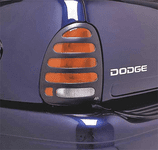 Complement and enhance your vehicle's chrome trim with AVS chrome hood shields! Protects against damage to headlights and enhances the look of your vehicle.